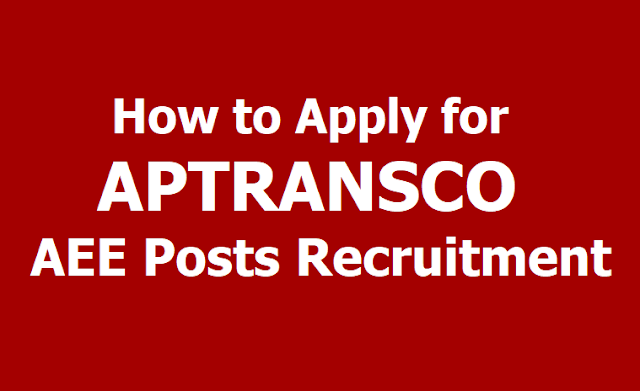 How to Apply for APTRANSCO AEE Posts Recruitment 2019, Submit Online application forms till April 25: APTRANSCO issued the AEE Assistant Executive Engineers Recruitment 2019 notification and Applications are invited On-line through APTRANSCO Website http://aptransco.cgg.gov.in from 26.03.2019 to 25.04.2019(to 24.04.2019 for payment of fees) from eligible Engineering Graduates for filling up the following vacancies on regular basis in APTRANSCO Engineering Service. 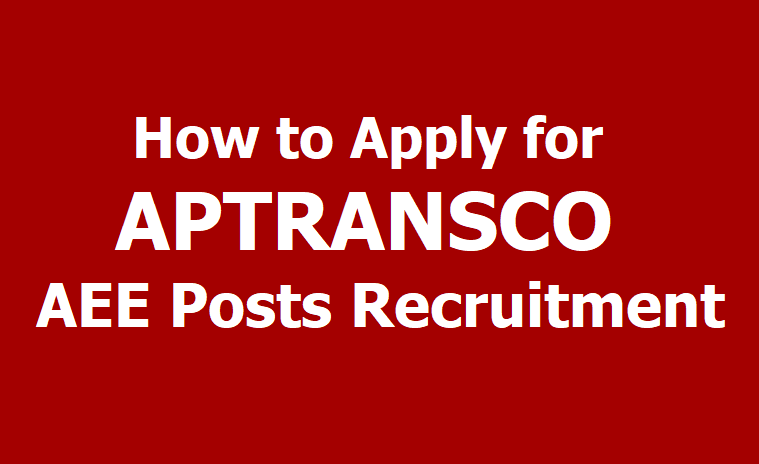 Transmission Corporation of Andhra Pradesh Limited (APTRANSCO) has invited the online application for the Assistant Executive Engineer (Electrical) post on its official website. Eligible candidates can apply online through the official website of APTRANSCO- aptransco.cgg.gov.in. The last date to submit the online application for the Assistant Executive Engineer (Electrical) post is April 25, 2019. APTRANSCO is conducting this recruitment drive to fill in 171 Assistant Executive Engineer (Electrical) vacancies. APTRANSCO has scheduled to conduct Assistant Executive Engineer (Electrical) written examination May 19, 2019. Application Fee: Candidates under General category need to pay application fee of Rs 350. Age: The age of the applicant should not be more than 42 years as on 01.02.2019. Educational Qualification: The applicant must possess BE/B.Tech/ A.M.I.E, Electrical & Electronics Engineering or equivalent qualification in the similar discipline from any recognized University in India on a regular basis as on 01.02.2019. Payment of fee through Payment Gateway (Bill Desk/Atom). Candidates need to visit the payment link on the website and provide basic details like Name, Father/Husband Name, Date of Birth and Community (BC, applicable SC, ST, applicablyOC) and whether Physically Handicapped (PH). Based on the details of community and other details, the system will applicable. The candidates have to pay the indicated fee and obtain a receipt with JOURNAL NUMBER printed on it. Starting date for payment of fee and application submission: 26.03.2019. After Payment of a fee, the applicant has to visit the website http://aptransco.cgg.gov.in and access the online application form. APTRANSCO can provide a link to this website on APTRANSCO website. The applicant has to provide details of JOURNAL NUMBER given on the payment receipt to access the application form. The candidate has to fill all the relevant details and upload “scanned copy of passport photo with signature below the photo” and submit to the system. ON successful submission system will alert the applicant to download the pdf document containing the details submitted by the applicant with unique application number (Reference ID) as the acknowledgment. Step 4: You can obtain a receipt with JOURNAL NUMBER printed on it.